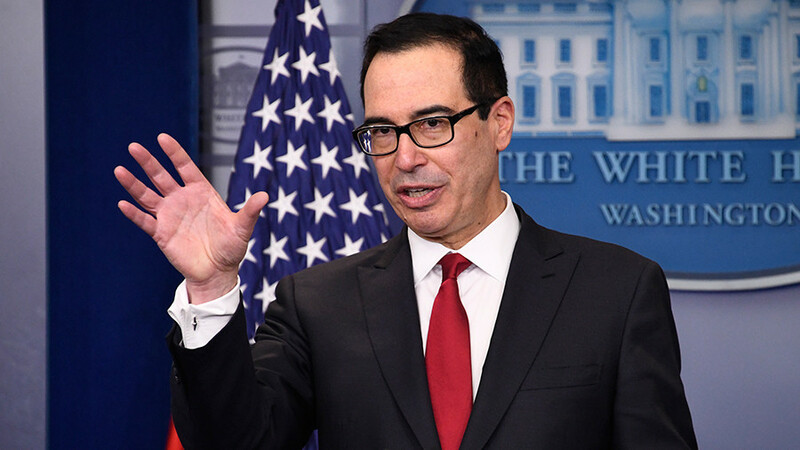 Though the US has not imposed new sanctions on Russia yet, they will result from the classified report that has been shown to Congress, US Treasury Secretary Steven Mnuchin told lawmakers. Grilled by the Senate Banking Committee on Tuesday, Mnuchin responded to Senators Sherrod Brown (D-Ohio) and Bob Menendez (D-New Jersey) who asked about the new sanctions. "I assume you haven't read the classified version," Mnuchin told Menendez, per CNBC reporter Kayla Tausche. "There will be sanctions that come out of this report." The Trump administration had until Monday to report to Congress on sanctions to be imposed under the Countering American Adversaries Through Sanctions Act (CAATSA), adopted with overwhelming majorities in the House and Senate last July. The brainchild of Senator Ben Cardin (D-Maryland), author of the Magnitsky Act, CAATSA passed with only two members of the Senate and three members of the House oppose, making it impossible for President Donald Trump to veto the bill.